Frasers is a private guest house and restaurant nestled at the end of a private drive on a working farm, set deep in the beautiful Kent countryside. This unique, idyllic venue offers the perfect location for your event – whether it is a luxury get-awayfrom- it-all break, your fairy tale wedding, a small conference, training day, private meeting or product launch. 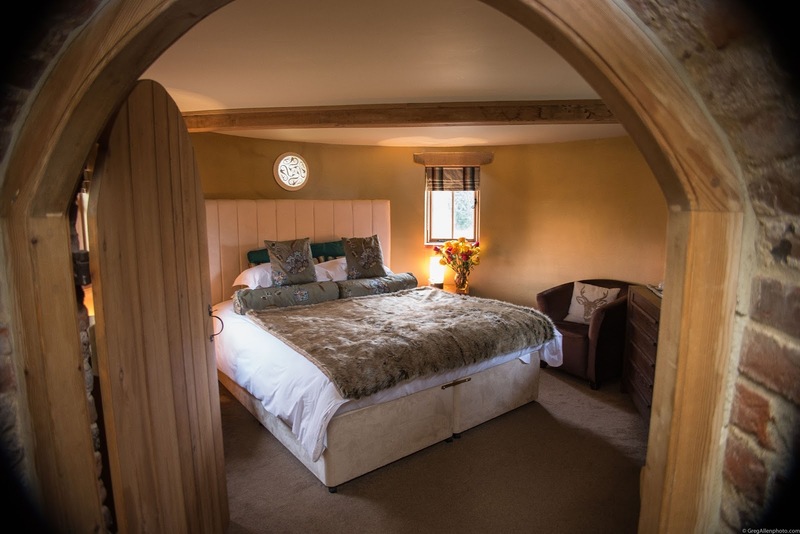 Stay, relax and unwind in one of their beautiful 5 star gold, individually designed rooms, all with luxury en suite bathrooms, comfy slippers and gowns. Why not treat a loved one to a stay in the newly appointed Discovery Suite, complete with its own private hot tub? The restaurant and function suite is within a custom-made, traditionally constructed beautiful oak-framed Kentish Barn, with a wealth of exposed beams. Relax on the superb sun drenched terrace and enjoy their 1 AA Rosette award winning restaurant. Why not enjoy their now renowned ‘Tasting Menus’ offering a delicious selection of seasonal, local dishes, alongside an excellent array of hand picked wines to complement the exquisite food. Enjoy complete tranquility, savour the beautiful views across the unspoiled Kent countryside, watch the geese flying in to graze on the pond, listen to the owls calling from the nearby oak trees... To find out more about Frasers visit www.frasers-events.co.uk or call 01233 756122. For your chance to win a 1 night stay for 2 in a superking room with a five-course tasting menu at Frasers in Egerton, valued at £270, just answer this question: ‘What does the newly appointed Discovery Suite come complete with?’ Enter your answer with your contact details* in the online form at www.wealdentimes.co.uk/competition, fill in the form below or post to: The Frasers Competition, Wealden Times, 21 Stone Street, Cranbrook, Kent TN17 3HF by 20 March 2015. *Prize is valid until 31 July 2015. There is no cash alternative. All entrants’ details will be passed on to Frasers and Wealden Times Events. Please let us know if you do not wish your details to be passed on.